Why is Israel in my wishlist?! Those who read my blog regularly would know that I’m not a big fan of touristy places. I am the one who takes the roads less travelled. I’m not a big fan of Dubai, but the places that intrigue me a lot, include Isreal, Jordan, Turkey etc. Here’s a bit more why Israel is in this list. As someone who studied in a convent school, I’ve known of Israel since school days. Jesus was born in Bethlehem, which is very close to Jerusalem and he grew up in Nazareth (infact, he’s called Jesus of Nazereth), lived as a carpenter before he started preaching Christianity. When I was in school I hadn’t seen any photographs of Bethlehem, but as I grew up, I got all the more intrigued when I came to know that the city is holy not only for Christians, but also for Muslims and Jews (infact Jesus himself was a Jew before forming Christianity). 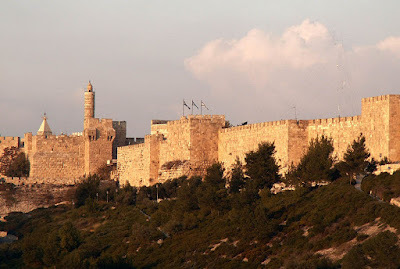 Today Old City and Walls of Jerusalem are listed as UNESCO Sites and anyone who reads my blog regularly would know what a big sucker I am for UNESCO World Heritage Sites. 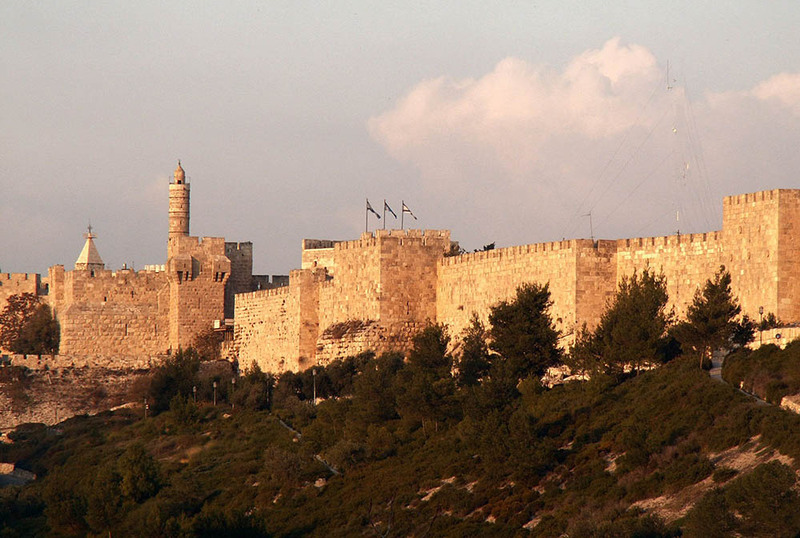 When it comes to Christianity and UNESCO, Israel has more to offer. 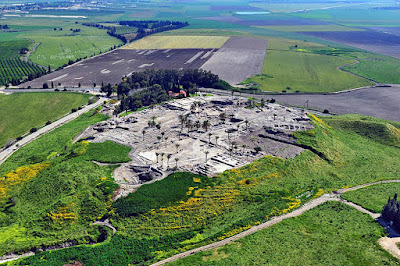 There are 3 Tels in Israel which are also UNESCO sites - Megiddo, Hazor and Be’er Sheva. Mounds are created by human settlement (remember such mounds close to StoneHenge) and after they abandon it, over several centuries they’re called Tel in archaeological terms. 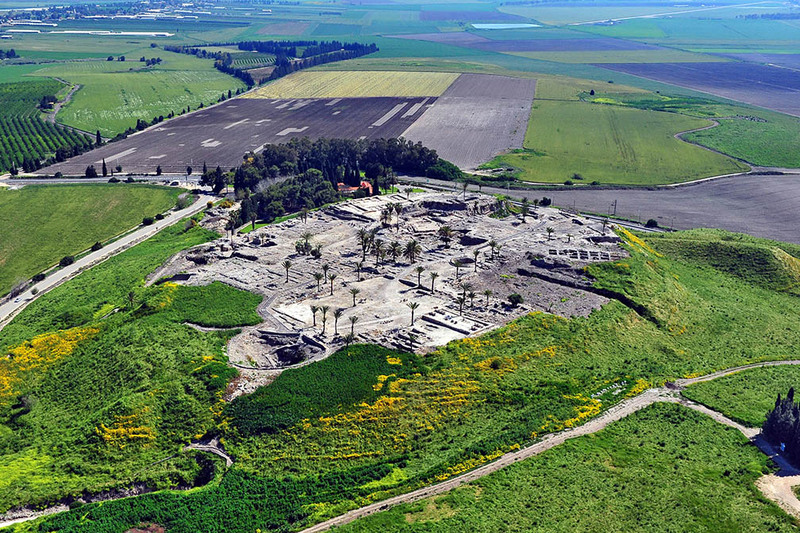 Megiddo was a pre-historic Bronze age city and an excavation in recent years revealed 26 layers of ruins, that shows the long period of settlements that it went through. The earliest magnificent construction here was the 5000 year old "Great Temple" of Early Bronze Age (3500–3100 BCE). 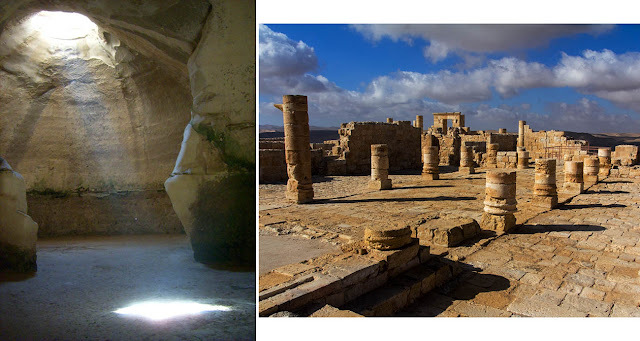 Tel Hazor belongs to the middle bronze age & Israelite period (1750-900 BCE). Be’er Sheva is the town of Beersheba where according to Bible, Abraham lived. This place has archaeological evidences since 11th C CE. Another natural ‘magic’ that wow-ed me since schooldays was Dead Sea. Remember the good old science experiments where the density of water is increased by adding salt in it, so that things dropped in it won’t sink but would stay afloat. When my teacher explained that such a thing exists naturally at Dead Sea, where the density of water is so high that even humans can float on it, I was majorly surprised. Dead Sea is in Israel as well. Located at such an interesting location, it has quite a variation in geography too. Apart from Dead Sea other interesting natural wonder here include Negev, an arid desert region and the interesting rock formations in the Caves of Maresha and Bet-Guvrin. Just like how India & China have an ancient Silk Route, Israel has an ancient Spice Road and Incense Route (that’s about 2000km long), both of which go across the Negev Desert. This was active in 400 BCE to 200 CE. The desert was the prime location for the transport of frankincense and myrrh to the port of Mediterranean. May be the Biblical 3 wise men were from here or atleast they most definitely crossed the desert! Today the ruins of all the 4 towns, 4 fortresses and several milestones enroute are still intact for us to see. Bet-Guvrin on the other hand is a series of caves, about 800 and called Bell Caves which are mostly interconnected by underground network of passages. The way the sunlight gets in at some places is rather surreal! When it comes to city life, there’s Tel-Aviv. It’s the 2nd largest city in Israel. It’s the party capital with a spectacular night life and the city that doesn’t sleep at all. Its history begins from 15th C BCE, as mentioned in an Egyptian Pharoah’s conquest letters. Today it’s a beautiful amalgamation of Jewism, Christianity and Islam. The must see places here include the Museum of Art, Flea Market, Old City of Jaffa, Old port, Jaffa Port, Rabin Square etc. If you’re a foodie, the Levinsky Spice Market is not to be missed. The White City within Tel Aviv is a UNESCO site as well for its modern town planning and architecture. The international feel and the uber modernist style, that Tel-Aviv gives is undeniable, with Le Corbusier inspired architecture complete with sculpture garden in the middle of the city. Let’s see what future has in store for me! I hope to visit & feel Israel sometime in future. Plus, the advantage of Israel Visa stamp is that, just with it, visiting Gulf countries is also possible. However, as I always say, a lifetime isn’t enough to see all the places in my wishlist!!! Let’s hope for the best. P.S: This post has been written in collaboration with Israel Tourism India, however the opinions are my own and this post does not to advertise the product/service. Israel is such a fascinating country to visit, isn't it? I still have Israeli friends in Tel Aviv and Haifa. People I met back when I was teaching scuba diving in the famous Boracay, Philippines. From them, I came to learn a little more on their culture and have a better understanding of where they were coming from. Because of that curiosity, I always have had an interest in one day setting foot there too. I studied in a Catholic school and just like you, I would love to visit Israel too. Some of my friends were lucky enough because our school sent them to Israel years back. I didn't know about UNESCO sites in Israel. You must really be intrigued with Israel to research more info about this City. I hoping to read about your Israel trip in the future. Great article, I'm going to Israel in 10 days so I'm glad I read this! I am also a sucker for UNESCO world heritage sites, I didn't know there were so many here. I'll make sure I visit every one of them. Thanks for sharing! Israel's only recently come onto my radar so to speak. I always thought of it as somewhere you only go for a religious pilgrimage - and as a Christian it's not an idea I'd dismiss easily - but the more I look into it, the more it just seems so, so beautiful! And more than just Bethlehem and Jerusalem. As for the Dead Sea - I visited when I was in Jordan and oh wow it's crazy! I can not wait to get to this area of the world where I haven't travelled much. I am hearing more and more great travel opportunities in Israel and I am very eager to go. I have met many people from Israel on my travels and now have many friends there. Thank you for sharing. I hope you get to go to Israel. I know people who have been and they say it is amazing. And I agree that the Dead Sea sounds fascinating. I am sure that if you make up your mind to go to Israel, you will be able to get there. 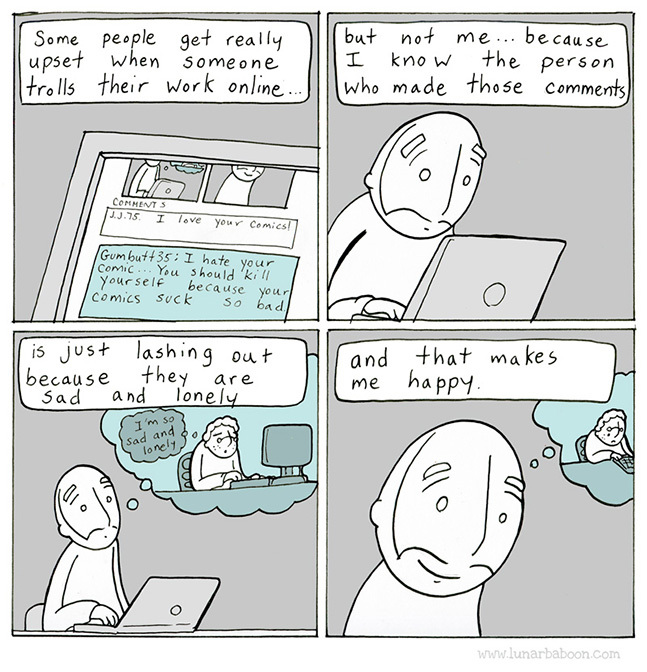 When I read your title I kind of guessed that the dead sea would definitely get a mention in your post. It would be like that one amazing experience of your life that remains with you forever. I mean where else do you get such high density water that can ensure you won't sink :-) I've also heard about Petra, the popular archaeological site in Jordan. 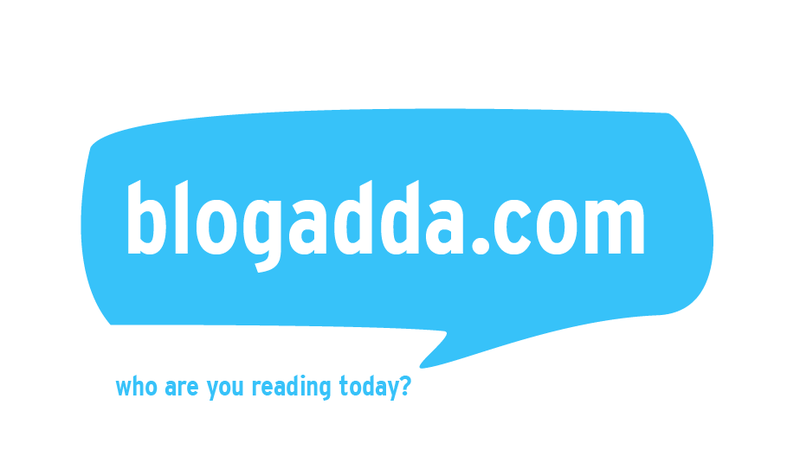 Learn't about it when I was researching on the Indian rock-cut caves of Ajanta and Ellora. Israel does look like a really interesting place to visit. Between the old, archaeological sights and the modern city, there is a lot to see. And since it was a prominent spot in your childhood, I hope you get to visit soon! Yes I am pretty intrigued by the middle east. I think Lebanon and Jordan are on my bucket list for sure. Love the food and culture. Never really seen many pictures of Israel before but it looks like an interesting place! Israel is also on my wishlist ever since my mom showed me her photos from the trip. I would like to float in the dead sea. It's my first time hearing of the bell caves and that goes on my list to visit too. Anyway, great article by you :) It made me want to go to Israel more. Israel is also in my bucket list! I just don't understand why some of my friends doesn't like to visit Israel first, then go to Arabian countries. They said if they do the opposite, they will get a small chance to enter these Arabian countries. Am not sure if those (myths?) are true. This is also on my list to visit. Fact we are in Varna, Bulgaria in March and are thinking about visiting then. It is just a little bit costly for our budget but I am still going to make it work somehow. Have not been to Jordan but, Istanbul was great. We spent nearly 3 months there in 2015 just before all the problems stated. Cappadocia is also another place I have to go back to and visit. One can think that when you say Israel, first comes to mind is always about Jesus. And with that thought, I was thinking that may be Israel is a little boring or maybe there are no night life. But no! I was really wrong, I've read a lot of stuff about Israel most especially about Tel Aviv and it makes me want to visit it asap! Israel has also been part of my bucket list now.. I heard people there are also nice and very warm. I would love to visit Israel too! Not sure if we will get there this year but hopefully next year :) That area of the world seems so different to me so would love to explore more. I wouldn't be surprised if someone told me that Israel is in their bucket list. In fact, I know of some people who have gone on a pilgrimage to Israel, and when they came back, they have been changed forever. It looks like a beautiful country, full of spirituality and history! never knew that israel can be this fantastic. Added in this to my bucket list! There are lots of reasons why I also want to visit Israel some day. Like you said this country's history, culture and link to major religions make it a really interesting destination to explore. I also want to learn more about the startup scene in Israel as I'm also interested in entrepreneurship. Israel is a country that I would love to visit as well. However, as a Malaysian, and non-Catholic, that could prove to be rather tricky! I had no idea how beautiful is Israel until I read your post. I am like you, I don't like going to a very touristy place for so many reasons. Most of the time we go to places that is not popular and less tourist. I am definitely going to add this on the list. Thank you again for sharing. Israel is 100% on my wishlist too! I find the culture and history of the country so interesting, and it's something I didn't really learn about in school. I hope to be able to go over the next couple of years! Honestly, I have never thought yet of Israel and putting it on my list. The first on my lost is Hongkong and next is South Korea. You got me with the Unesco heritage sites. that's a bomb thrown to me. why am i not thinking of going? and btw. i noticed you have 1 million views here. that's huge!!!!!!!!!!! Israel is rarely included in the travel bucket list among people I know. This is a great and beautiful destination for those who would love to know about the history of Christianity and Islam. Thanks for sharing with us. Although Israel is not in my wishlist but it is a beautiful place. it is a place full of history. really hope that you will get to visit soon. Getting to Israel seems like such a dream, I still can't believe I'll be there in less than two months. I don't blame you for having it on your wish list because it seems to be a truly great combination of history blended with the modern world. For Christians like me, this place is on my wishlist. I hope one day I get to visit the place. Oh, my friend was able to float in the Dead Sea by visiting Jordan. I would love to see Israel because of its role in Christianity. It would be really nice to appreciate the place behind the biblical stories. I would love to visit Israel and go to the Dead Sea. I bet that floating on an entire infinity of water is amazing! I have floated before but in an enclosed tank and I remember how my back pain went away almost instantly. I would love to try it at the dead sea, I heard it has amazing health benefits. I'm quite knowledgeable with Israel as well even though I haven't been to the place. I studied at a Catholic school from primary to university, and Bethlehem is definitely something you hear often especially during Christmas season. The only place that I really am intrigued in visiting in Israel is the Dead Sea. I would like to check the place out myself and imagine how the water would give way to a path. Of course, seeing things float is amazing too， even though there is already a scientific explanation for it. Quite a lot of my friends are jewish and love travelling to Israel. They always seem to have such a great time there but I wonder if it's because they feel more of an affinity with it culturally, which I would not. I didn't know that the city walls counted as a UNESCO heritage site. I would also like to tick those off my bucket list so I guess one day I'm going to have to visit myself! I will be heading to Israel in 2 months time I cant wait to explore. And yes it's been on mu list for awhile now too! There are so many ruins that I want to see in Israel. I am happy that it's included in your list! I wanna go there too. Anything places to recommend in Israel? I also curious why you love Israel so much until I read your post. Israel is on my wish list too because of its rich heritage, architecture and much more to explore in this beautiful city. These photos look gorgeous. I had no idea Israel had so many UNESCO world heritage sites. It looks like a very interesting place to visit with many places to see! Israel is definitely in my wishlist to travel, maybe as a pilgrimage. I hope to take our renewal of wedding vows there in Cana, also in the Holy Land. ohhh Israel seems like a good place to visit too! As a tourist manager I'm a sucker of UNESCO too hahahahaha Anyway, Israel is a paradise on earth, I love it's history, it's culture and it's natural places. undoubtedly is a magic place to visit. Well i wish to visit Israel also, hope that one day I can make it there. You got that one right - UNESCO sites are my main draw too. Add to that the Dead Sea and the scuba diving in the red sea. I hope to get to Israel soon. I currently live in the Middle East, so not quite in a rush just yet to go. Would love to go though, many nice things to visit, totally on my list! Indeed, Israel has some mystic charm about it which is not very main stream. Recently, in Singapore, I too worked with some Israeli venture for kids. There was an exhibition too. Nice points on why you wanna visit Israel! Really happy to see the cultural aspect which caught your attention~ Can't wait to see more about it if you get to visit them this year! I never get interested in Israel before. My idea about Israel was full of bombings and war. But reading this post and other travel blogs made me change my view about Israel. I think that Israel is not that really a dangerous country to visit. I would like to see Israel too, Bhushavali!